Spirits St George Breaking & Entering American Whiskey - Royal Wine Merchants - Happy to Offer! 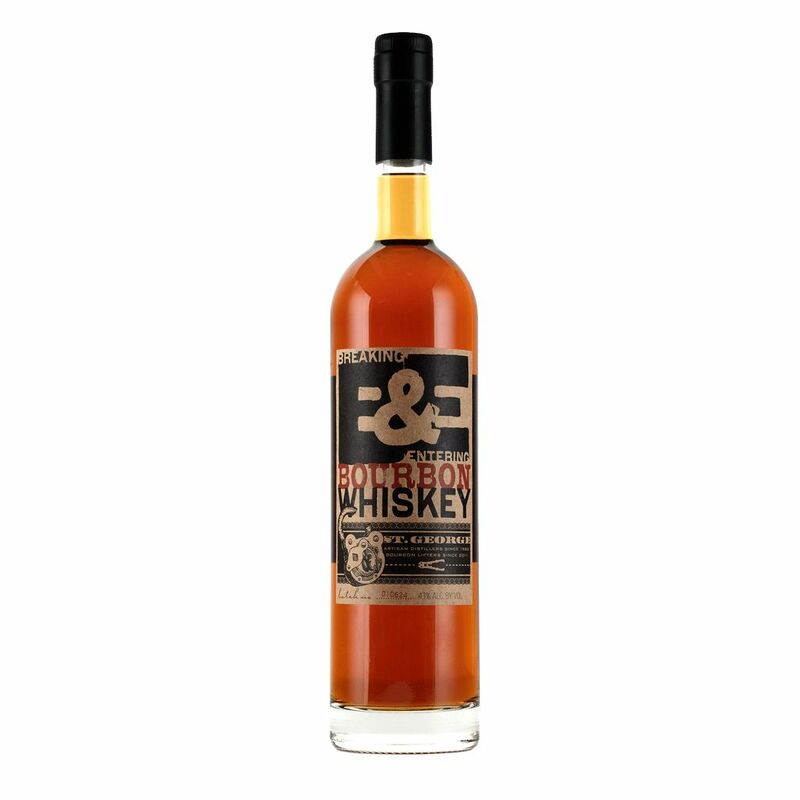 This American whiskey was blended by St. George's master distiller, Lance Winters, and head distiller/blender Dave Smith. Straight bourbons from Kentucky & Tennessee as well as straight rye from Tennessee were used in the blend. They traveled across the United States and “broke” into a number of rickhouses throughout Kentucky to select nearly 400 of the best barrels of 5-8 year old whiskey that they could get their hands on to showcase the art of blending. This whiskey is only available for a limited time so grab some if you happen upon a bottle or three. Bursting with flavors it waffles between tense spicy and sweet fruit. A complex mix of exotic wood and fancy confections, this is easily one of the most exciting innovations in craft whiskey in some time.